This free Icon Maker is an HTML5, Bootstrap Icon generator, designed by Simbla website maker, for the benefit of the web designers and development community. We offer you a free access to use this Font Awesome Icons, with This tool enables you to create high quality and well designed icons within minutes. First, choose your desired icon from the list (table). Then, customize your style: size, color, border and shadow. You may also link your icon to a preferred URL. 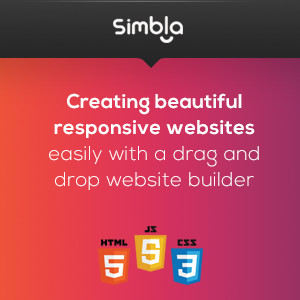 Finally, Copy your HTML code from the bottom and embed it to your website. That’s it! You are good to go! 1. Select your icon image. 2. Select border and shadow style. 3. Select your Icon size. 5. Your Icon is ready. Copy your icon html code from the icon creator.